Best PHP Framework 2018 | Web Development Frameworks | KbizSoft Solutions Pvt. Ltd. Frame Work – KbizSoft Solutions Pvt. Ltd.
With so many web application development platforms, Laravel Development has as a class of its own, focusing on rapid development and simplicity. Laravel Development is the best PHP framework provides out of the box feature for developing powerful and engaging websites.We are a Laravel Development Company in India, with a successful track record of delivering flawless Laravel Development Projects. 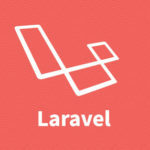 Our Laravel Developers are always on the cutting edge of technology to hone their skill and knowledge to provide high secure and reliable solutions. Codeignitor is the leading open-source web application framework capable of developing high-end dynamic and intuitive websites without any hassle. It’s a smart application development skeleton framework with flexible and expandable core powered high performance. Yii is a great framework for developing high-performance websites on any scale. It’s an efficient and extensible high performance, component based web application framework written in PHP5. Being able to maximize code reuse, we are able to accelerate the whole web development process. As a YII development company in India, we provide unmatched Yii development services at cost-effective rates. 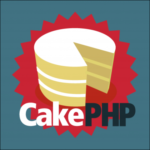 CakePHP makes building web applications less complex, speedier, while requiring less code. A cutting edge PHP 5.5+ structure offering an adaptable database get to layer and a capable framework that makes building both little and complex frameworks less difficult, less demanding and, obviously, more delectable. Manufacture quick, develop strong with CakePHP. 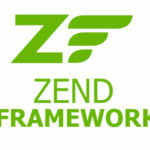 Building up an Object Oriented Programming (OOP) is Kbizsoft Solutions Zend engineer group’s strong point. Hire PHP Zend designers from Kbizsoft Solutions to get the most altered business web application with MVC structure that backings all the PHP formats. Our Zend system advancement administrations empower you to approach with big business review, easy to use web applications with a modern design and consistent execution.